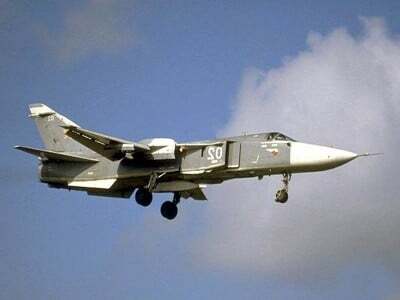 The downing of a Russian jet fighter over Syria’s airspace was undertaken by Turkey in consultation with Washington and Brussels. Turkey did not take this decision without getting the greenlight from the Pentagon. Is this an act of revenge against Russia for bombing the US-sponsored Islamic State in Syria? The unspoken truth is that Russia is undermining US-NATO’s ground operations inside Syria. The latter are made up of various Al Qaeda affiliated formations which de facto constitute the foot-soldiers of the Western alliance. These ISIS and Al Nusrah rebel forces are in turn led by intelligence operatives and Western special forces, many of whom are deployed by private mercenary companies on contract to US-NATO. The downing of Russia’s plane by Turkey is a clear act of provocation. What is its broader intent? How will it backlash at the diplomatic level? Is military escalation contemplated by Washington? A covert war of stealth is currently unfolding which could evolve towards direct military confrontation between US-NATO and Russia. From a strategic and military standpoint of view, Russia’s main ally is China, which until recently has been the object of military threats in the South China sea under Obama’s pivot to Asia. What has been Beijing’s response to the downing of Russia’s aircraft by Turkey? What future role would China play in a scenario of military confrontation and escalation directed against the Russian Federation? In the course of the last few months, both the US and Britain have been playing a game of friendly diplomacy and economic cooperation with China’s president Xi Jinping. President Xi Jinping’s visit to the US and his meetings with president Obama were intended to strengthen Sino-US ties. Is the West attempting to Co-opt China? What bearing do these developments have on China and its strategic alliance with Russia? According to US analysts, relations between the U.S. military and the People’s Liberation Army (PLA) are said to have “improved” in recent years “amid growing tensions between the United States and China” in the South China Sea. Central Military Commission Vice-Chairman Fan Changlong, who has just completed a visit to the US, urged Washington to reduce its military activities both in the air and in the waters of the South China Sea when meeting US government and military leaders. Fan and US army Chief of Staff Raymond Odierno witnessed the signing of the dialogue mechanism at the National Defense University in Washington on June 15 2015. This is the first cooperation document to be signed by the two armies in recent years. Guan Youfei, director of the Foreign Affairs Office of the Ministry of National Defense, said afterward that the two armies could hold joint exercises on land next year. The conduct of major China-Russia war games in late August did not foreclose China’s decision to the holding of military drills some three months later (November 16-21) with the United States. This time the US Navy Pacific Fleet and the People’s Liberation Army Navy (PLAN) conducted a “friendly” joint US-China military exercise off the coast of Shanghai in the East China Sea. In a bitter irony, these joint exercises took place following the dispatch of “the USS Lassen, another Arleigh Burke-class destroyer, within 12 nautical miles of China’s man-made islands”. These US maneuvers in the South China Sea were considered by Beijing as an act of provocation instigated by the US Navy. In turn, the US has mobilized a military alliance of several Southeast Asian countries against the People’s Republic of China (PRC), not to mention the establishment of the US sponsored Republic of Korea Naval base on Jeju Island, which lies within proximity of China’s coastline. 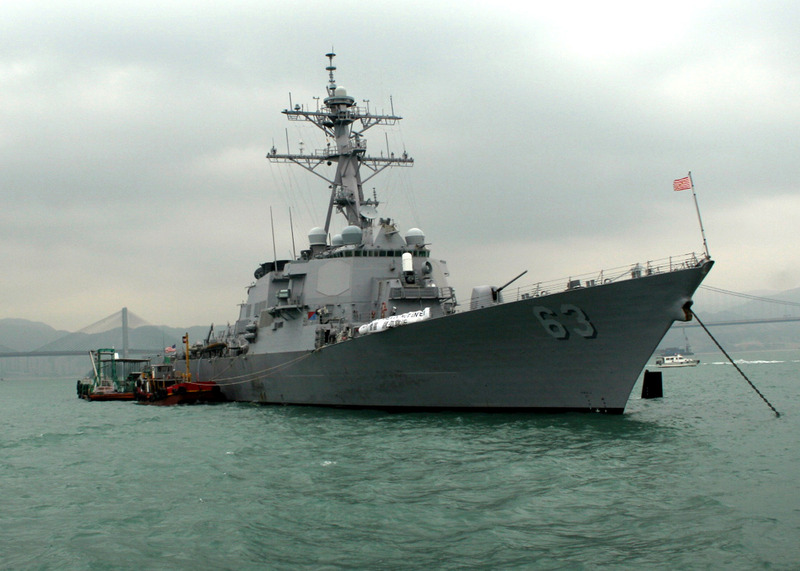 The naval base constitutes a threat to China (rather than to North Korea). Are they indicative of an “About Turn” in Sino-US military relations— i.e. a shift from overt threats under Obama’s “Pivot to Asia” towards “military cooperation” and “dialogue”. 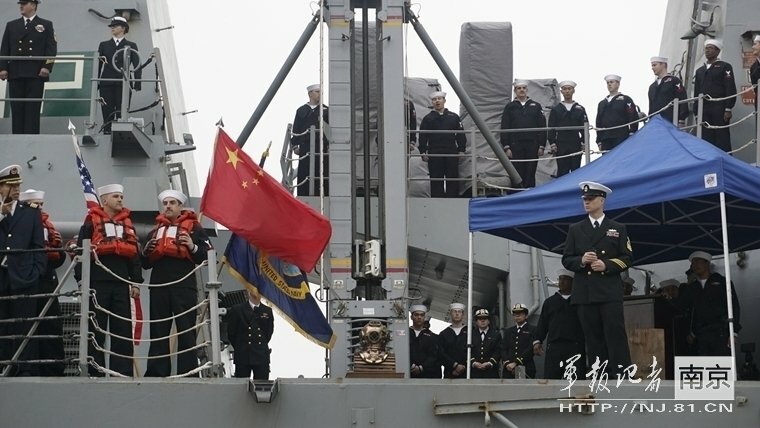 Defense News (November 16, 2015) intimates that a redirection of US military strategy in relation to China is unfolding: “US, Chinese Navies Train Together Despite Tensions”. The ship’s commanding officer, Harry Marsh, told reporters the visit was intended to “build mutual trust” between the two navies. US sailors, he said, would learn about their counterparts’ “maritime experiences, so that when we operate at sea we can do it safely, and we understand what they are doing and what we do”. The stopover comes shortly after the US sailed a warship near artificial islands being built by Beijing in the South China Sea. Alliances are fundamental in the history of war. The First World war was in part the result of a destabilization and shift in military alliances. Strategic alliances are often characterized by “cross-cutting coalitions” between opposing sides which in some cases lead to destabilizing the broader structure of military alliances. Unquestionably, Washington’s intent is to establish a “cross-cutting” relationship with the People’s Republic of China with a view to eventually undermining and destabilizing China’s alliance with Russia. US foreign policy in relation to China could be described as a “threaten-cooperate” strategy. It’s an ambivalent relationship which involves a quid pro quo. “Pivot to Asia” versus “military cooperation”. It consists in “threatening” China with a view to forcing China to “cooperate” with the US. Will China succumb to this diabolical agenda? Is Washington attempting to rebuild its strategic relations with China with a view to eventually weakening and isolating Russia? While the Chinese political leadership is divided, there is nonetheless a strong pro-American lobby in China both within the Shanghai business community, the media as well as among intellectuals in elite universities and the Beijing-based think tanks such as the Chinese Academy of Social Sciences (CASS). Sino-US cooperation in the military sphere inevitably has a bearing on Moscow’s strategic relationship with Beijing. In recent developments, Turkey has acknowledged in a letter addressed to U.N. Secretary-General Ban Ki-moon and the 15 members of the UNSC that “it had shot down on an unidentified plane that violated Turkish airspace and defended its right to do so”. While China and Russia are the core members of the Shanghai Cooperation Organization (SCO), they have also developed important bilateral relations in military affairs. For Moscow, the Sino-Russian military alliance is central to its ability to play a key “stabilizing role” in global politics. “The consolidated position of our countries is having a stabilizing effect on the international situation,” according to Russia’s defense minister Sergei Shogu on an official visit to Beijing in September. The question is how will China respond to an act of military aggression by a NATO member State directed against the Russian Federation? We are at a dangerous crossroads: With regard to Turkey, any act of military reprisal by Russia (which at this stage seems unlikely) could potentially lead to military action by NATO against the Russian Federation, invoking the clause of “collective security” (article 5 of the Washington Treaty). Moreover, the aggressive action by Turkey could be followed by subsequent acts of aggression and/or provocation against Russia with a view to triggering (i.e. justifying) a process of military escalation. What position will China take when the issue of Turkey’s downing of Russia’s war plane over Syria is brought to the UN Security Council? The position taken by China could be decisive in preventing a process of military escalation. 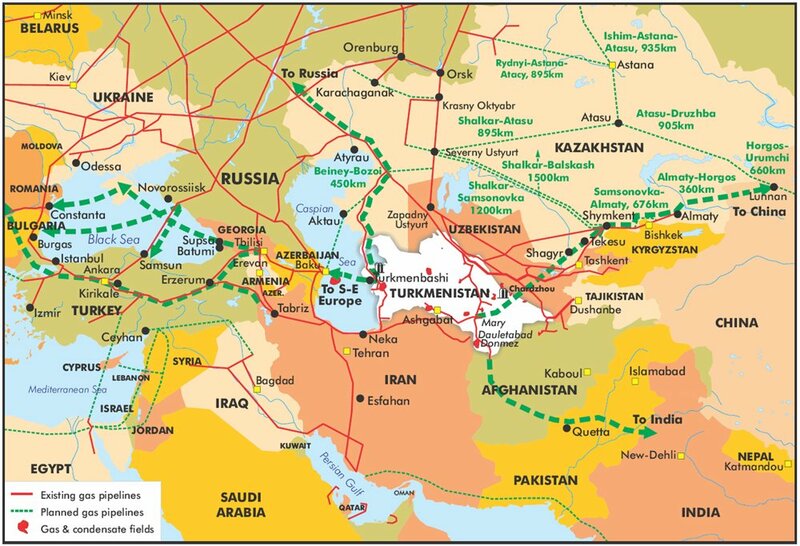 Escalation would consist in an enlarged US-NATO-Israel led war against the broader Middle East-Central Asian region, extending from North Africa and the Eastern Mediterranean to China’s Xinjiang-Uighur Western frontier with Afghanistan and Pakistan. (see map below). At the time of writing, no significant statement has as yet emanated from the Chinese government. China’s Ministry of Foreign Affairs issued a bland statement regarding the downing of Russia’s SU-24 jet by Turkey. It did not express condemnation of Turkey’s aggressive act, nor does the statement reflect support for Russia, China’s closest military ally.